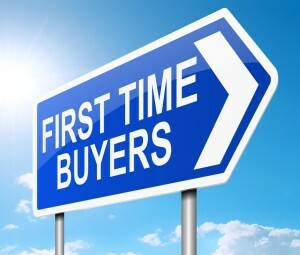 Buying your first home is exciting. That’s for sure. And you may be pleasantly surprised by the sheer number of options available to you. That doesn’t mean that you should act on your impulses. Yes, you may be able to afford a more expensive home by choosing a mortgage type or home loan type with a higher interest rate or a longer term (most home mortgage lending terms are 10, 15, or 30 years), but that may not necessarily be in your best interest. Keep in mind that you’ll have plenty of other expenses on top of your monthly mortgage payment. Although it varies, most financial experts recommend keeping mortgage payments at around 25 to 33% of your monthly income. Another thing to remember: If you purchase a more expensive home, the down payment will be considerably higher. It is wise to save up about 20% to avoid extra costs, fees, or insurance, and 20% of $200,000 is a lot more than 20% of $75,000. Let’s say you’re on the right track when buying your home. Your home loan is pre-approved and you’re ready to make an offer, only you reconsider at the last moment because that chintzy, ’50s wallpaper in the dining room really is that hideous. Not so fast! While there are some things about the home mortgage lending and purchasing process you cannot change (e.g. you’ll have to wait to age 62 to qualify for a reverse mortgage, and an extra noisy neighborhood isn’t likely to change), you can definitely take steps to fix small imperfections in a potential home. Appliances, molding, wallpaper, or paint shouldn’t turn you off too much, especially if everything else is perfect. First-time home buyers, create an experience you’ll always remember — and fondly, too. Carefully consider expenses and your budget prior to making any big decisions, and prioritize features and amenities for the best home-buying process.